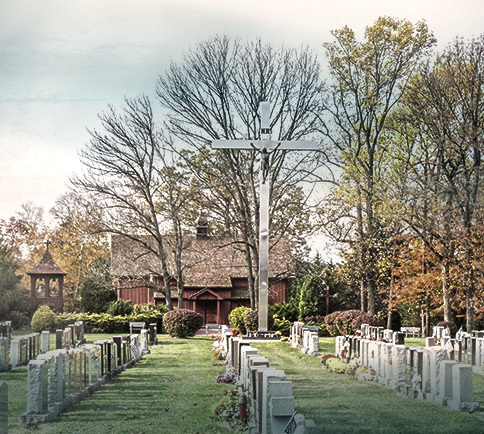 Being buried and memorialized at the National Shrine of Our Lady of Czestochowa Cemetery forges a lasting connection between you, your family, and your church. 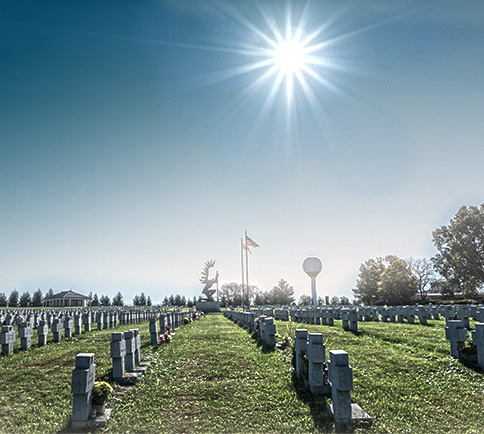 Choosing the specific type of burial from the various memorialization options is a profoundly personal decision that helps strengthen that connection. The most traditional form of burial is called an in-ground, or below-ground, burial. This type of service typically involves a casket, as well as a memorial tribute such as a plaque or tombstone. 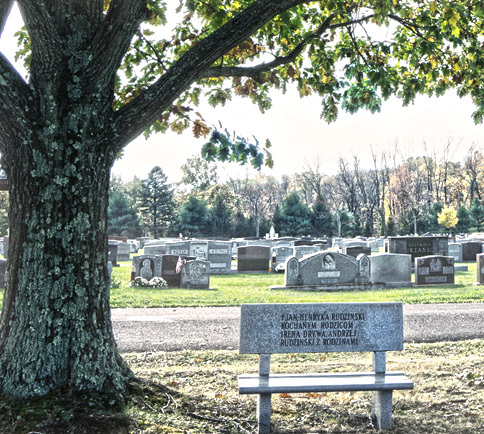 Beautiful ground burial options are available at our Cemetery. These quiet places are the perfect setting for private meditation, prayer, or a peaceful walk. Read below for more details on the components of this burial option. 3. The vault is installed in the burial site first, prior to placing the casket. The vault provides protection for the casket, and helps to maintain a flat and level gravesite, in turn providing safe, sure footing for your loved ones. 4. The opening-and-closing service is to prepare the gravesite for burial. It consists of ground opening, closing (back-filling), and landscaping (to restore the gravesite’s appearance). What is a Columbarium and why choose Cremation? The purpose of the Columbarium is to provide a place on the Shrine property for the permanent preservation of the cremated remains. A Columbarium is an answer to the age-old concern of the Christian community to participate in the proper disposition and identification of the earthly remains of those who have shared the fellowship of our Christian faith. Opening-and-closing service: opening a gravesite for burial, back-filling the site, and landscaping to restore the gravesite’s appearance. A form of this is also required for interment in a mausoleum.